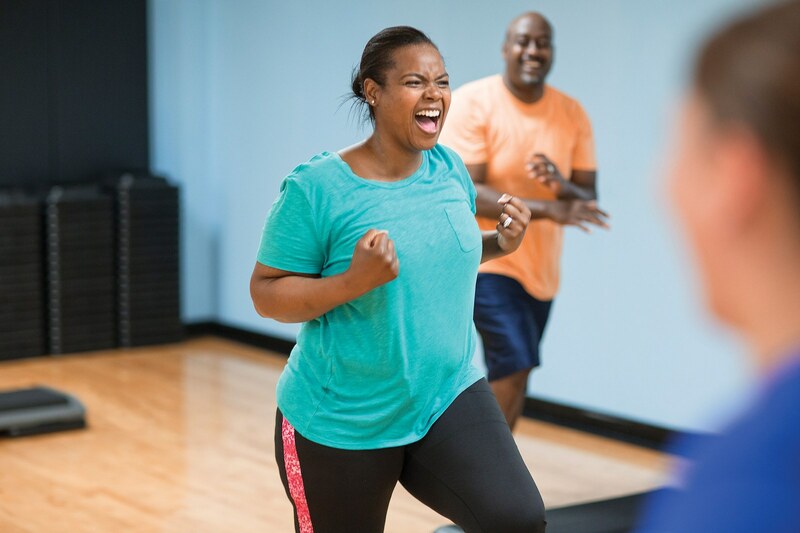 The YMCA of Montgomery offers a variety of classes to help you achieve better health, manage stress and lift your spirits. The long-term benefits include lowering blood pressure and cholesterol levels, helping control blood sugar and increasing energy levels. Part of our mission is to help you in your quest for health. Our mission is to build a strong you. Experience the incredible energy that only Group Exercise classes can give you. Instructors lead you through the workouts providing you effective, fun and easy-to-follow steps. The YMCA of Montgomery offers a wide array of classes at including cycling, kickboxing, yoga, Pilates, Zumba and more! 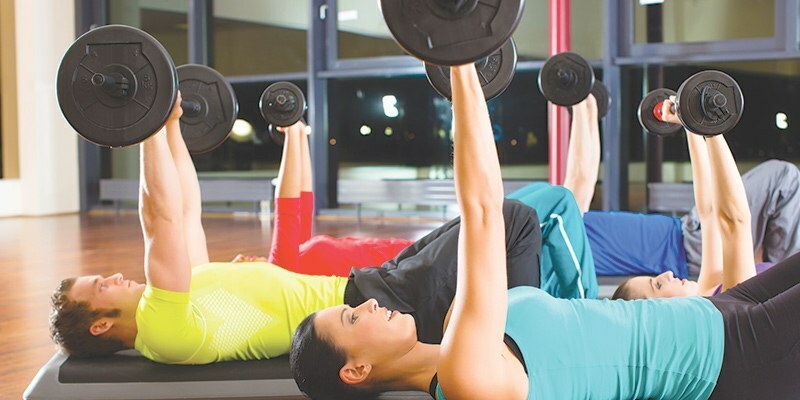 Group Exercise classes are FREE for Y members. All of our fitness classes are taught by experienced, nationally-certified fitness instructors. Zumba Fitness: Unique Latin inspired music and dance steps create a dynamic, exciting and effective fitness class. Yoga: Teaches you fundamental poses with an emphasis on proper alignment. Pilates: This class focuses on strengthening and lengthening the body with an emphasis on the core muscle groups. Group Cycling: A modern spin on indoor cycling, choreographed to inspirational music. Aqua Fitness: Medium- to high-intensity workouts. Water aerobics classes range from gentle water yoga to intense kick-boxing routines. Core & Stretch: Concentrating on your core muscle groups and flexibility. Beast Mode: A martial arts workout that challenges your cardio, strength, and agility. Bodhi: Bodhi is a rope suspension style work out that pits you against gravity. It works on all cores in your body. Have you ever thought about running a 5K but just don’t how to get started? Well, you are in luck! The YMCA of Greater Montgomery has partnered with Montgomery Multisport to get you prepared for that 5K. The Couch to 5k program will begin January 29. This will be a 6 week program that will track the amount of minutes that you run or walk in the 6 week period. The goal is to complete 480 minutes of running or walking by the end of the 6 weeks. Your activity can be done on a treadmill or outside. This is a program that can be used for all fitness levels. Once you have completed the Couch to 5k program AND registered for the Montgomery Half 5K AND YMCA Stride for Kids 5K dash, you will receive a YMCA running shirt to wear in both races. Spring into fitness is a 6-week program designed to encourage you to reach a healthy range of physical activity per week. You will be challenged to complete 120 minutes of physical activity per week for 6 weeks. Be sure to track your activity through our YMCA of Greater Montgomery app. If you complete the required amount of physical activity in 6 weeks, you will receive an awesome YMCA duffle bag. Y Summer Miles requires each participant to complete a total of 72 miles in 6 weeks. Track your progress through our YMCA of Greater Montgomery app. Miles can be accumulated on any cardio machine as well as outdoor running. At the end of Y Summer Miles, you will receive a 2018 Y Summer Miles t-shirt to show off your accomplishment of completing the program! Our Annual Fall Football Fit Mix runs for 6 weeks. Register through any Wellness Coach, Group Exercise Instructor, or Membership Connector. Once you receive your Fit Mix Card, participate in any Group Exercise class and have your instructor initial by each helmet. Drop your card by the front desk to be entered into the drawing. Past prizes include: gift cards, Big Green Eggs, Patio Grills, Coolers, and so much more!! You don’t want to miss out on this member incentive opportunity!